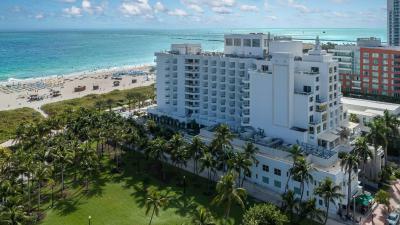 Lock in a great price for Marriott Stanton South Beach - rated 8.2 by recent guests. Room was skimpy and felt like a hospital. Very cramped, bed uncomfortable, sink in living space and not in bathroom. 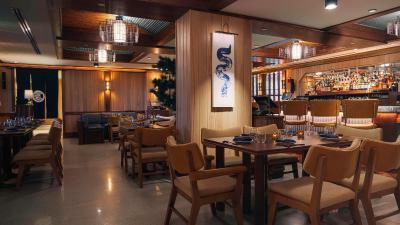 Excellent Japanese restaurant. Other restaurant tired and expensive. Comfy beds, nice pool facilities, close to the beach. The property is nice, with a pleasant swimming pool and a nice beach side. 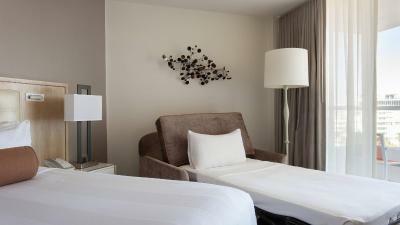 The hotel is stylish and the rooms are comfortable. The staff is caring. 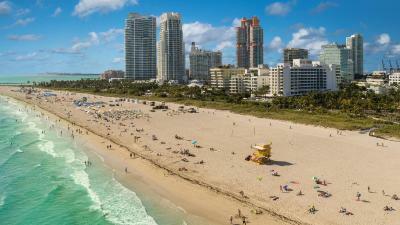 Overall, a good compromise on SOBE. The beds are comfy but it's not good value for money. Great hotel for the kids especially. Things to do in the pool area but also swimming in the ocean is better than many other places at Miami Beach. This due to large area of shallower water allowing for more fun. One of our top picks in Miami Beach.Located on the beach, this luxurious oceanfront Miami hotel is adjacent to the vibrant South Beach Art Deco District. 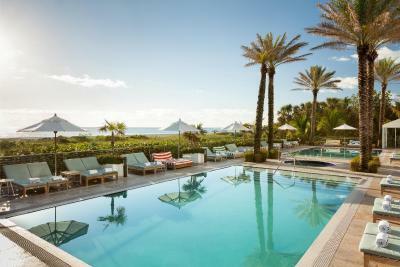 Guests can lounge in the infinity edge pool, stay active in the fitness centre, or escape to the spa. A small cooler, flat-screen cable TV with internet capabilities, and coffee-making facilities are featured in all guestrooms. 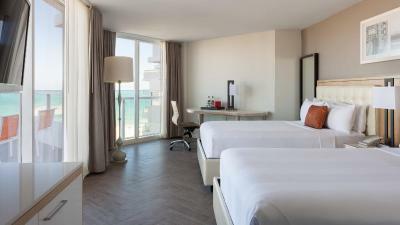 Select Marriott Stanton South Beach rooms include a city, coast, or ocean view. 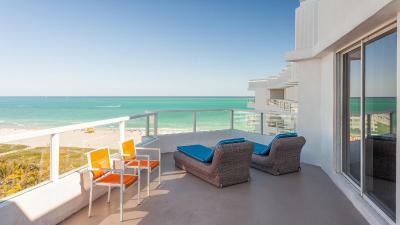 After an exciting day of exploring South Beach, guests can soak in a hot tub with a view of the Atlantic Ocean. 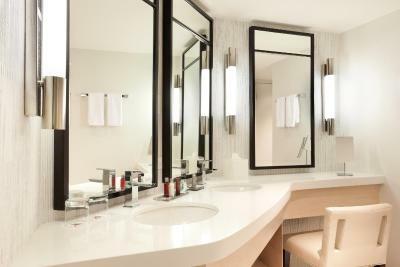 Guests will have access to a concierge desk and launderette throughout their stay. 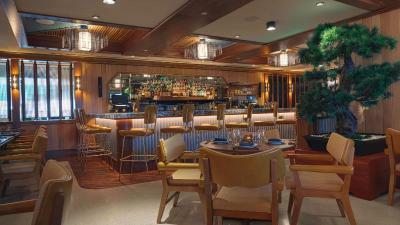 Offering Mexican-inspired dishes, Lolo's Surf Cantina serves breakfast, lunch, and dinner. 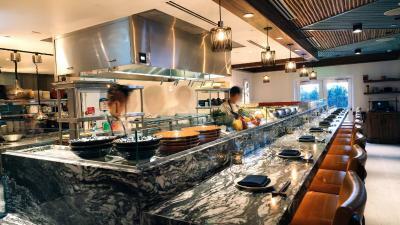 Azabu Miami Beach, which serves Japanese food and classic cocktails, is open for dinner. Starbucks Coffee is available as well. 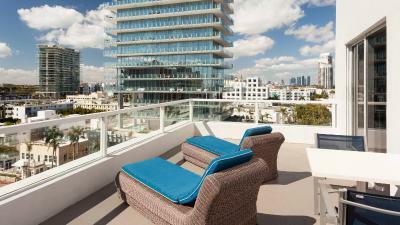 Guests will be 2 miles from the Miami Beach Convention Center and the shops at Lincoln Road. 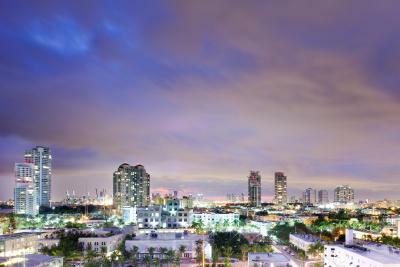 The Miami Beach Golf Club is 10 minutes' drive from the property. 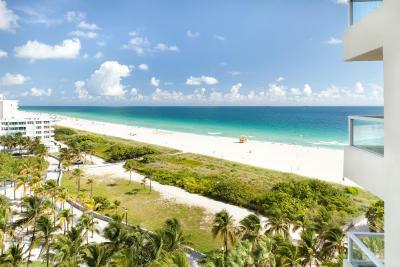 Marriott Stanton South Beach has been welcoming Booking.com guests since 1 Jun 2011. 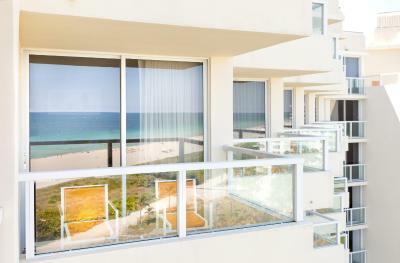 When would you like to stay at Marriott Stanton South Beach? 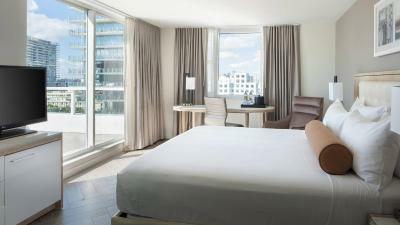 Featuring a balcony and offering city views, this guestroom is equipped with a cooler, flat-screen TV and safety deposit box. Public parking is possible on site (reservation is not possible) and costs USD 44 per day. 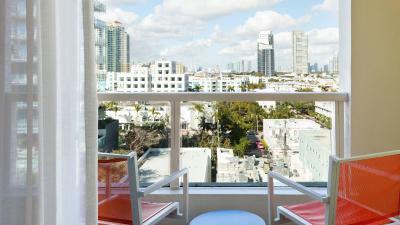 With views of the Miami Beach coastline, this guestroom includes a balcony, cooler and safety deposit box. A flat-screen TV is also provided. 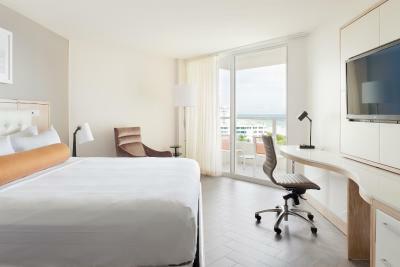 Featuring a balcony as well as views of the Atlantic Ocean, this guestroom includes a cooler, safety deposit box and flat-screen TV. 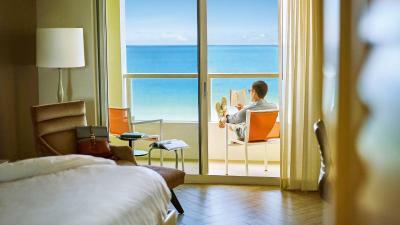 This deluxe guestroom offers an ocean view. A cooler, safety deposit box and flat-screen TV are also provided. 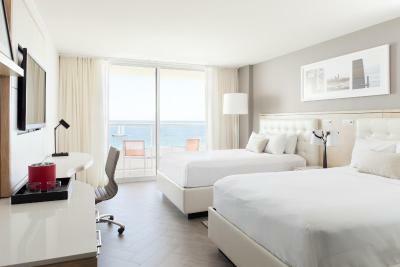 This deluxe guestroom offers oceanfront views and a balcony. A cooler, safety deposit box and flat-screen TV are also provided. 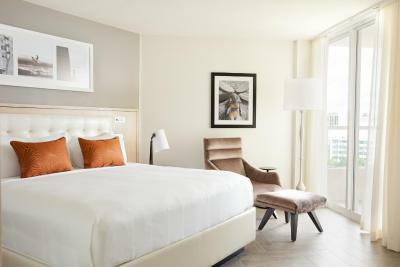 Offering views of the city, this guestroom also features a balcony as well as a cooler, safety deposit box and flat-screen TV. 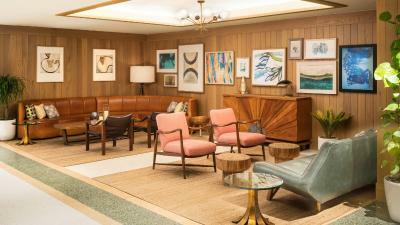 This guest room features air conditioning and a cable TV. 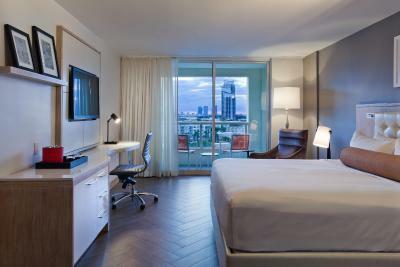 This guestroom features city views, a cooler, and a safety deposit box. This guestroom has a cable TV and air conditioning. 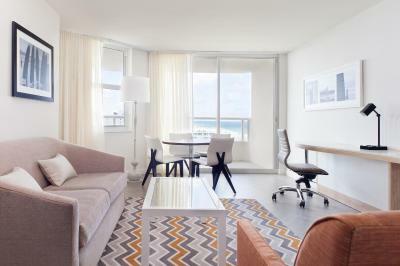 This 1-bedroom suite showcases a living room furnished with a sofa, 4-person dining table, and a balcony with ocean views. 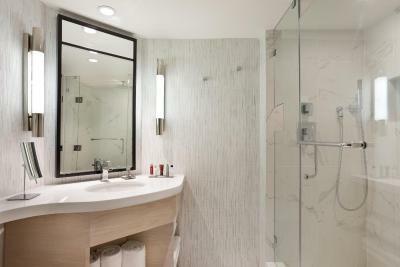 The private bathroom includes dual sinks and a cosmetic mirror. 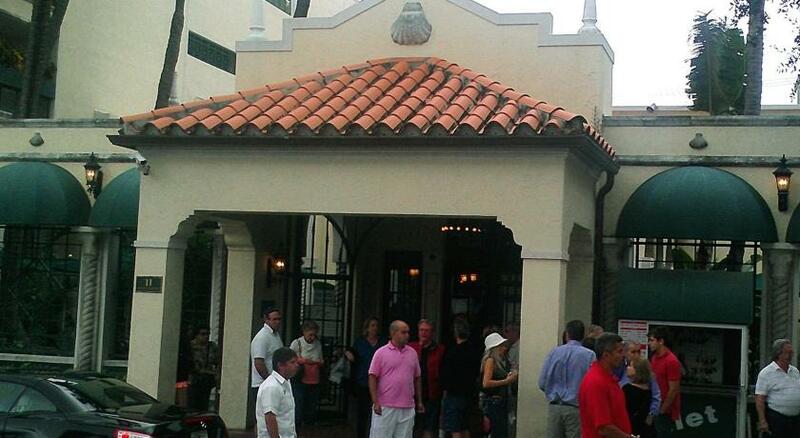 Just south of 5th exists a lush and private oasis reborn as a luxury boutique hotel. 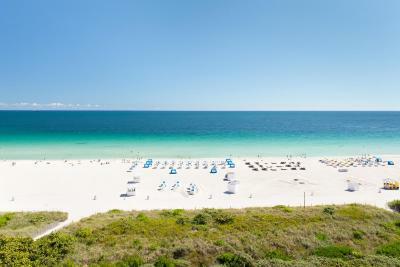 Welcome to the Marriott Stanton South Beach. Where the allure of Miami Beach meets an untouched Eden, the Stanton is for those who prefer the after-glow to the after-party. 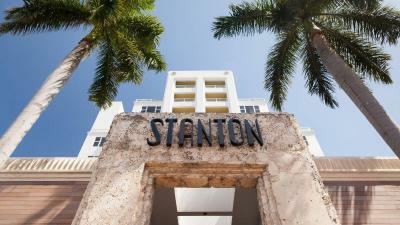 The Stanton is not just a place to stay. 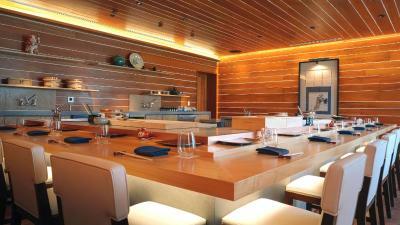 It is a place to drift away, soak up the ambiance and bask in the moment. 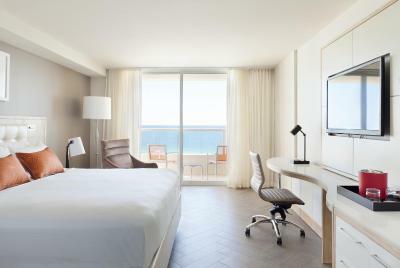 With a beautiful, oceanfront location and remarkable redesign, the Marriott Stanton South Beach offers a modern take on beach chic. 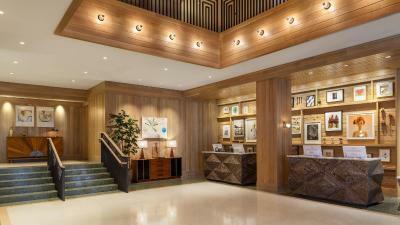 Guests are welcomed by the Great Room, a place to connect over signature cocktails and free Wi-Fi. Two sparkling infinity pools and whirlpool spa will entice and delight the senses while enjoying a tasty bite at The Spot. 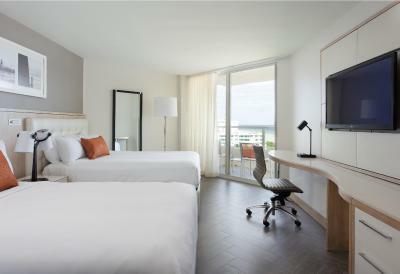 Updated guest rooms offer a balcony with city or ocean view, locally inspired art and intuitively crafted features including platform bed, open, expandable closets, multi-use surfaces and a spa-like bathroom with a granite countertop and waterfall showerhead. Deco Blue Restaurant & Grill is our signature restaurant serving an array of seafood options paired with breathtaking ocean views available both indoors and alfresco. Starbucks is always ready too! 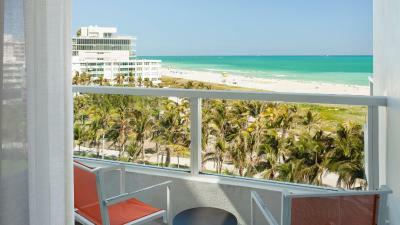 House rules Marriott Stanton South Beach takes special requests - add in the next step! 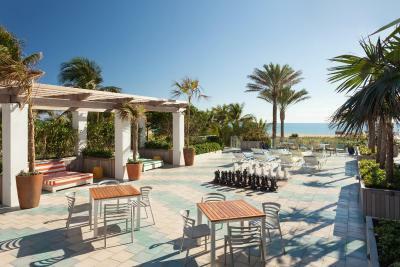 Marriott Stanton South Beach accepts these cards and reserves the right to temporarily hold an amount prior to arrival. Please note a WiFi upgrade is available for an additional cost upon check-in. Please note that breakfast is for 2 guests when booking the Breakfast Included Rate. Additional guests on the reservation must pay separately. Excelente location, great staff and it has a great starbucks in the hotel!! Would be nice to have hangers for wet bathing suits in the bathroom. Great location. Very friendly staff Clean and comfortable stay. Poor soundproofing and seems that staff / facilities aren’t really ready / able’ to handle peak season as they get in rush and cannot meet basic demands. Friendly staff, beautiful view and location. the room is not big as a hotel in U.S. But consider the location of the hotel, it is reasonable. It was difficult to get a lounge at the pool. The staff at pool were nice and helpful. Not enough lounges for number of people. The traffic to get off South Beach was terrible and unexpected. Japanese Restaurant was a nice surprise to be in the Hotel. Good food and service. Drinks and food available at pool and beach was a great convenience. Nice to be able to walk to some restaurants. bathroom poorly designed a/c very noisy front desk understaffed. We liked riding the bikes. Liked the cucumber water in lobby. Like fridge in room and coffee too. A bit expensive, had to pay resort fees ($30 + tax per day) plus beach expense ($22 per day). Food on the beach was average quality. Swimming pool is a bit small and with few beds. Clean room and hotel. Nice Asian restaurant, top quality. 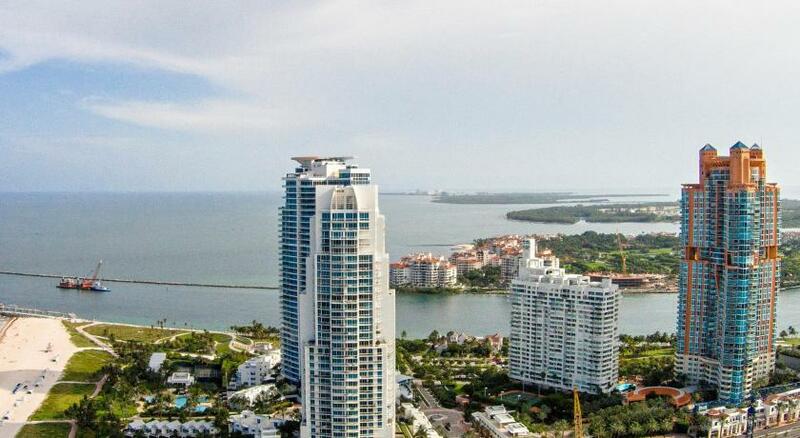 Great location on Ocean drive. Nice beach with comfortable beds. People are very kind and nice. 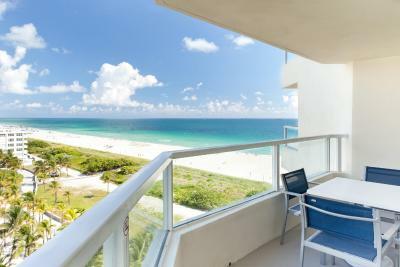 It was an amazing place in the perfect place in S. Beach!